John McGuinness set a new record to win the 2014 TT Zero electric race on the Isle of Man. 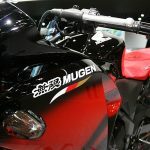 Riding the Mugen Shinden San, McGuinness completed the single-lap race with a time of 19:17.300, averaging a speed of 117.366 mph. 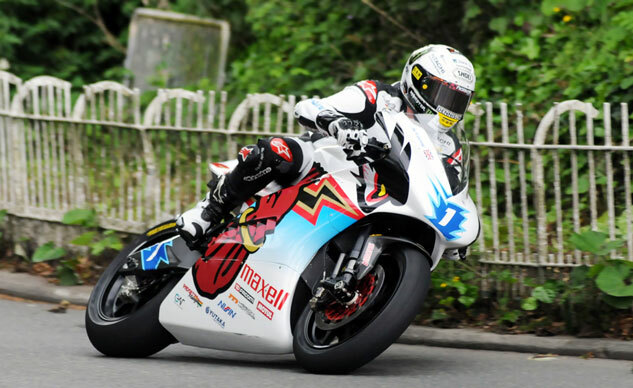 Bruce Anstey also rode the Shinden San, finishing second with an average speed of 115.048. 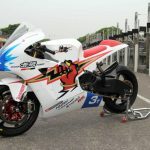 Both results were better than the previous record average speed of 109.675 mph set by last year’s TT Zero winner, Michael Rutter riding the MotoCzysz E1PC, and McGuinness’ second-place result of 109.527 mph. The battle for third place provided plenty of drama with Robert Barber of the Ohio State University team narrowly beating Robert Wilson of Team Sarolea by just 0.370 seconds. 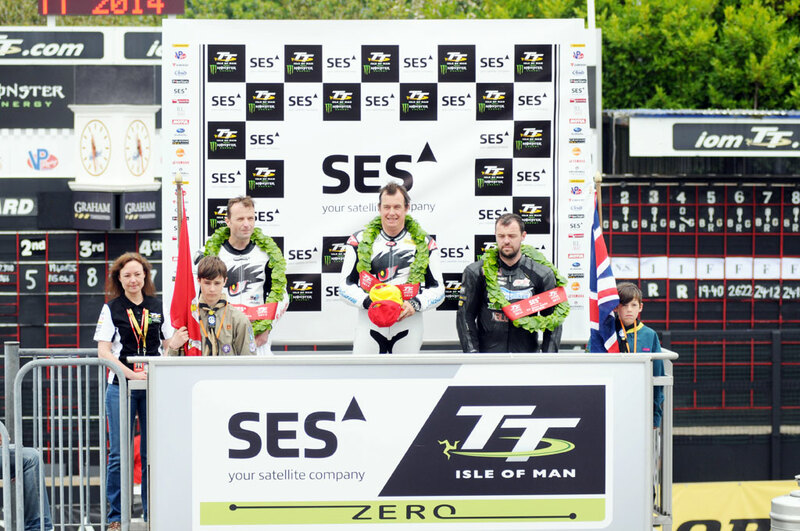 Barber also finished third in the 2013 TT Zero, but improved his average speed by 3 mph.